in a more responsible and sensitive way that is truly in harmony with the planet. 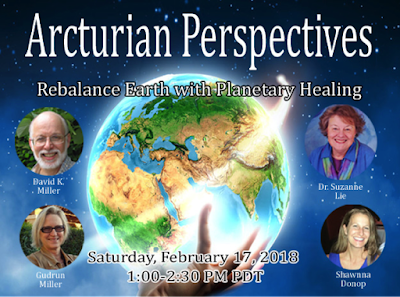 You are being called to fulfill your mission as a planetary healer to contribute to the rebalancing of the planet and the expansion of consciousness. We hope you answer the call and join us in unity to ensure a bright, balanced, empowered, and enlightened future for the planet. 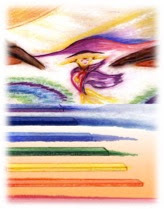 When I sat down to write my blog today, the Arcturians guided me to this section of my website. Therefore, I am putting it on the Blog today. The process of my awakening took over 22 years. Part of the reason for the long journey is that the process started in 1974 when the resonant frequency of the planet was much lower. Now, as the entire planet is preparing for a conscious ascension into the fourth and fifth dimension, there is less vibrational and social resistance. The other reason why my process took so long is because I am a Capricorn. Slow and steady works for me, so that I can learn to “use” each experience in my daily life. On the other hand, some people may have the entire awakening experience in a relatively short span of time. The children of the Baby Boomers were not raised with the same social restraints that we, children from post WWII, had. Therefore, they can awaken more quickly and easily. Also, the children of the Baby Boomers are much more able to express both masculine and feminine energies, which is the vital component in the process of awakening to SELF. The merging of the male and female energies into the ONE is an important component of opening of the Third Eye. I write my story because I believe that many others have had, or soon will have, the same experience. However, they may not know what is happening to them. I found great comfort in knowing that others shared my experiences. When I was first awakening, I read many, many autobiographies of people entering their Spiritual Path. If we are uninformed regarding our process, we can suffer anxiety and depression. I have found this to be very true when speaking with others. In fact, one may even think that they are having a nervous breakdown when, actually, they are actually having a SPIRITUAL INITIATION. I would very much like to hear other people’s experience of awakening. If you wish to share, please add your story to the comments section of this blog. We, the Light Workers and Protectors of Earth, need to come forward within this NOW. Therefore, if any of you wish to share your awakening experience, please do so in the below comments section. There are as many versions of reality as there are different people's perspectives on life. As we move through our process, we may think that our life will change quite a bit, which is true to some extent. But, mostly our outside life may remain much the same, as it is our beliefs that change. Then, as our beliefs change, our expectations change, as well. Since our perceptions are greatly guided by our expectations, as our expectations change, so does the manner in which we perceive our reality. Then, when our perceptions change, our reality changes because the reality we perceive is the reality we live. Hence, reality is a perspective. For example, let us imagine that it is a beautiful day at the beach and we are walking along the pier. We had a good week at work, our family life is working well, and we feel creatively fulfilled. Because we feel clear and balanced, we perceive reality as a glorious day on the pier and all is well in the world. We choose to look up into the clear, blue sky to see the puffy, white clouds slowly moving above us. We can focus on the laughter of children, the smell of delicious food in a nearby restaurant, and the happy people who are also enjoying a relaxing day. On the other hand, let us imagine, instead, that we are a homeless person who has fallen down on the ground from destitution and despair. In this case, because we are unclear and out of balance, we can only manage to look at the littered sidewalk for signs of possible food. In this state of consciousness, or unconsciousness, we can only hear our own inner torment, feel only the gurgling sensation of our empty stomach, and see only the dark red, lower-astral mist that seems to float just above the sidewalk. Could these two people be living in the same city? Yes! In fact, they could be standing next to each other, and still be totally unaware of each other’s reality. We would now like to share with you the concept of “The Tower.” Imagine reality as a seven-story tower with windows around each of the stories. 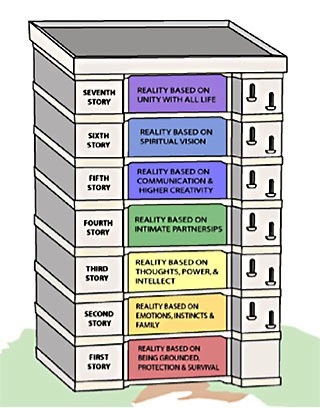 Each of the seven stories of the tower represents a different frequency (hence, a different color), as well as a different perspective of reality. The windows at the top of the tower represent the highest frequency experience of third dimensional reality, and the bottom window represents the lowest frequency experience of third dimensional reality. Furthermore, the windows of each story are covered with a frequency filter specific to the frequency of light that moves through that window. Therefore, each of these stories represents a different perception of reality, which is based on the belief system that is consistent with that octave of light. Because these different octaves of light allow different octaves of perceptions, there appear to be many different realities. However, there is actually only ONE reality, seen through many different viewpoints. 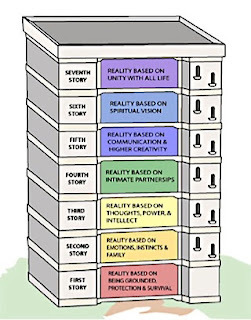 As can be seen in the above illustration, these perceptions of reality are on a hierarchical scale, which means that basic needs must be met before one is able to move into the higher stories of the tower. Also, one can choose to perceive reality through the lower window if they wish. However, they cannot perceive reality through the higher windows until they have expanded their beliefs, and their state of consciousness, to embrace the concepts of the frequency of that window. This fact also holds true for the dimensions. We can perceive the lower dimensions from the higher dimensions, but until we expand our consciousness into the higher dimensions, we cannot perceive them. Fortunately, once our consciousness expands to embrace the higher dimensions, we can open our belief system to that which formerly seemed impossible. When we perceive reality from the first story, our life is based on believing that we must learn to be grounded, so that we can find protection and survive in our daily life. We must learn to protect ourselves and survive on our own before we can begin the process of Awakening to our Higher SELF in our daily life. When we perceive reality from the second story, our beliefs focus on our emotions, instincts and family. Our world has expanded because we feel safe, grounded and know we can survive. Because of this, we are able to take on the responsibility of a family. From the vision of the third story, our beliefs create a reality based on our thoughts, gaining our inner power, and enhancing our intellect. Our consciousness is further expanding, and we are finding our personal power and educating ourselves to create a better life. The belief in our own inner power encourages us to move beyond the confines of mere survival and seek a better life for ourselves and our family. From the fourth story, our beliefs allow us to see reality as an opportunity to create intimate relationships and strong bonds with others, and with our own Higher SELF. We now believe that we are empowered enough to learn the lessons of true love, so that we can create deep intimacy with our self and within our life. From the sixth story, we believe that we can perceive our inner, spiritual life, and we strive to intermingle our spirituality with the physical world. We live in the physical world, but seek to constantly be in union with the higher expressions of our Multidimensional SELF. From this Seventh Story Window, we perceive reality as an opportunity to participate in this great moment of Planetary Ascension. The lower stories of our Tower are vital, for they are the foundation upon which we created our expanded perceptions of reality. Furthermore, on different days, as well as at different times in the same day, we may see reality through different stories of our Tower. For example, we may have expanded our consciousness to be able to perceive reality through the seventh story window when we are having a “good day.” However, if we are having a “bad day,” we will need to go down to the lower story windows to do some maintenance work. We can use our Tower to perceive reality through any window we choose. However, we usually don’t know that until we are able to work through old belief patterns that initially restricted us to the lower stories. With practice, as well as faith in our own Higher SELF, we can use the filters in the windows of our Tower to filter OUT the fear and anger of our changing reality and filter IN the unconditional love and gratitude for the NEW Earth that we are creating as ONE Being. How can we know exactly where we are in our Tower? To answer that question we must ask the Core of Our Consciousness. I live inside of the inside, of you. And your ears are my ears. have created with your heart and mind. So, if ALL, inside and out, is an illusion, what is real? I AM your I AM Presence who is ALWAYS real! We, the Arcturians, wish to introduce you to your fifth dimensional SELF, so that through your very own fifth dimensional expression of SELF, we can better show you your/our Starship. We say “your-our” because different groups will live on and work from different types of Starship. You will need to allow yourself to deeply connect with your fifth dimensional expression who resides within the core of your spin, in the higher frequencies of your Multidimensional Mind, as well as in your High Heart. The degree of interaction that you have with your fifth dimensional SELF is dependent on the clarity of your mind and the unconditional love of your heart. Your mind was designed to create inter-dimensional synapses once your consciousness has expanded into the fifth dimension. Therefore, we advise that you keep your heart and mind open to the fifth dimensional frequencies of Unconditional Love within your heart area and Multidimensional thinking within your mind and heart. Yes, your fifth dimensional SELF intermingles Heart and Mind in the same manner that you may intermingle the third dimensional fingers of your hand. But, within this NOW, we ask that you focus on whatever idea your heart and mind has created about your fifth dimensional SELF. Therefore, we would like to assist you to “have your fifth dimensional SELF introduce you to your third dimensional self.” Some of you would prefer to believe that your third dimensional self has finally made contact with your 5D SELF, which is a positive thought to maintain in your mind. As you hold this thought in your mind, feel how your body feels different. You may, also, feel a growing heat within your spinal column and a sense of “something” impending within your mind. It is in this manner that you will know when you are in “living connection” with your Multidimensional Thinking and your Unconditional Love. Once your thinking is multidimensional, you become quickly bored with the mundane thoughts of daily life and begin to “day dream” of another reality which resonates to a higher frequency of reality. You may become “homesick” for a place that you cannot even remember. However, your body has not forgotten. Your heart can feel a higher dimensional frequency of love and your mind feels like a bird that has just taken off into the sky for a long flight to a new place. Please remember to send Unconditional Love to any component of your thoughts or emotions who are doubting this experience. You are, of course, quite familiar with your “inner skeptic.” This Inner Skeptic is a version of you that has learned to “act like a 3D human” so that others are not threatened by your fifth dimensional SELF. You may begin to awaken in the middle of the night filled with an angst, a sense of missing someone or something. Of course, your dreams have taken you to a higher dimensional situation. But, “OH NO,” is that an alarm clock, a child crying or even a mate awakening you to begin your third dimensional day. You may even awaken with a sense of “Synchronistic Missions.” Synchronistic Missions have a strong FEEL of Unconditional Love because only Unconditional Love can create a deep enough merging to be assigned to, or choose to, have Synchronistic Missions. These Synchronistic Missions, which, are very important for Planetary Ascension, and are a major “Key to Ascension” in that they assist you to remember your INNATE ability to feel the opening of your Fifth Dimensional Portal to your own Fifth Dimensional SELF. Once you can “consciously” feel, see, hear, or sense the open portal, you can choose to consciously experience it. We say “choose” because all of our Ascending Ones are increasingly perceiving, opening, and feeling a “CALL to Duty” flowing into their Heart and Mind from their fifth dimensional SELF. Of course that conscious experience is usually quickly forgotten, as the physical world will quickly “grab your attention.” Fortunately, many of our brave “Ascension Pioneers” are sharing their experiences with others who are like-minded and of similar states of daily consciousness. Through sharing your own experiences with others, you will see that everyone’s inter-dimensional is just as unique to them as their third dimensional experiences. On the other hand, there are many who are “like minded,” but they do not share the same frequency rate of consciousness. Therefore, it can be difficult to create a “Synchronistic Mission” because your view of reality is quite different if one is just third/fourth dimensional and the other is fully multidimensional. Multidimensional in this context means that one is able to consciously be aware that an “incoming message” is from the Here and NOW of the fifth dimension. Initially, those that share their inter-dimensional experiences form a “bond” which may feel like there is a “deep link” between them. It is only via their higher frequency perspective that they will be able to understand the deep link that has been formed. These links are very powerful, whether it is only with two people or with many people. Fortunately, if at least one of the couple, or the group, opens their Mind to the NOW of the fifth dimensional portal, it will assist all the others to also activate their fifth dimensional perception. Fifth dimensional perception is not like third dimensional perception in which every one and every thing is separated by time or space. With fifth dimensional perception, one is able to “feel” a connection, even if they cannot see or hear it. Those who recognize this link can greatly assist each other by merging their higher states of consciousness so that they can transmute their perceptions to the fifth dimension and beyond. Then, the merging ones may be able to “leave 3D/4D time” and flow through every embodiment they have ever taken in all of their incarnations. This journey through the physical and astral planes greatly assists them to deeply bond with whomever they are sharing this merging. Through this merging of consciousness, they will find that they are able to identify an incarnation in which the two of them, OR the group, have served Gaia together. This realization will take them all into that shared incarnation to review, complete and learn from that group merging. If your group experience has left any fear, anger, sorrow or imbalance that needs to be cleared from Gaia’s Aura, it will become obvious. Then the group, or couple, will work as ONE to clear Gaia’s aura. Of course, when one consciously chooses to “clear Gaia’s aura,” they will also clear their own. Many “old friends,” or “new friends” are meeting now in unusual and unexpected ways. Their physical and astral self may not recognize each other, yet, their fifth dimensional energy field of the NOW and the ONE instantly remembers the source of their group or friend's inter-dimensional experiences. The higher dimensional expressions of these 3D “chance encounters” have actually decided together, within their own 5D Selves, to find a way to “jolt” their third dimensional expressions of consciousness into allowing the flow of Unconditional Love to come into their awareness. Within that Flow of Unconditional Love, which is unseen, but deeply felt, their High Heart opens widely to blend more deeply with their Multidimensional Mind. As their High Heart merges with their Multidimensional Mind, there is an activation of fifth dimensional consciousness, which usually flashes through them—beyond time—and into the fifth dimensional “NOW.” Within this split second, they can consciously perceive their own fifth dimensional expression of SELF. It is common for the Ascending Ones to brush off, miss, or misperceive this blending of their third dimensional time with their inter-dimensional NOW. However, this inter-dimensional experience, whether it is conscious or unconscious, creates the merging their third dimensional self with their Multidimensional SELF. It is for this reason that we ask you ALL to share YOUR moments of the NOW of Ascension with a friend so that there is a strong enough reaction to this fifth dimensional “stimuli” that you can consciously EXPERIENCE and FEEL your OWN fifth dimensional Lightbody SELF from your own perspective, as well as from a perspective of another who can understand what is occurring. You are all moving into higher and higher frequencies of consciousness AND reality. As this process progresses and grows to engage more and more humans, who are more and more remembering their own fifth dimensional self, humanity’s PERCEPTION OF REALITY WILL BEGIN TO EXPAND. As your perception of reality begins to and continues to expand, you will be able to consciously perceive higher and higher dimensional versions of reality, as well as those who inhabit those higher realities. In fact, you will also find that many of these higher versions of reality are quite familiar, and the ones who inhabit this reality seem to be sending you love and caring. You will also, eventually, find the YOU who is resonating to the fifth dimensional octave of your multidimensional self. This “YOU” does not have a 3D job, but you DO have a Mission, which is the reason why you took this third dimensional vessel. This Mission will NOT be a mission for your personal benefit or enhancement, as that would be third dimensional thinking. Your higher dimensional self is your Multidimensional SELF, who is NOT bound by third dimensional temptation, sorrows and hard work. However, within your third dimensional self who faces temptations, sorrows and hard work every day, is VERY brave for “splitting off” from the collective of your Multidimensional SELF to take on the comparatively low frequency third dimensional self. Therefore, we remind you that your fifth dimensional, and higher expressions of your Multidimensional SELF, are NOT better than you. YOU are the courageous ones who left behind our higher frequency expressions of SELF in your higher dimensional Ship or Homeworld, to wear a simple, fragile, third dimensional earth vessel. And, why did you come to Gaia’s greatly wounded planet? You volunteered to take your current earth vessel so that YOU can assist—not with personal ascension, as you are already ascended—but to assist with Planetary Ascension. You can remember lives and realities in which you, too, damaged Gaia for your own personal gain. You can also remember incarnations in which you tried, and failed, to protect dear Gaia from the great harm that humanity has done to her. One may say, “Oh it wasn’t us. It was the weather.” However, the native peoples have always known of the great power that humanity has to effect the weather. Every thought and every emotions leaves the consciousness of the beings who dwell on Gaia to influence the reality of that NOW. What do you want to do for Gaia? What are you doing for Gaia NOW? What have you done for Gaia in your PAST? Dear Humans, if you wish to assist Gaia, please do so. You cannot assist too much or too little.